I am extremely lucky to have a neighbor (hi Paula) who is a fellow mom, expat from Europe, lived in London for a decade (like me), has a son 2 days older than my daughter, and loves to cook tasty, healthy food for her family. We do fun stuff like borrow ground turmeric from one another, swap cleaning products when our children have stomach flu, and enjoy glasses of wine together on the doorstep after the children have gone to bed. We also love to share recipes. 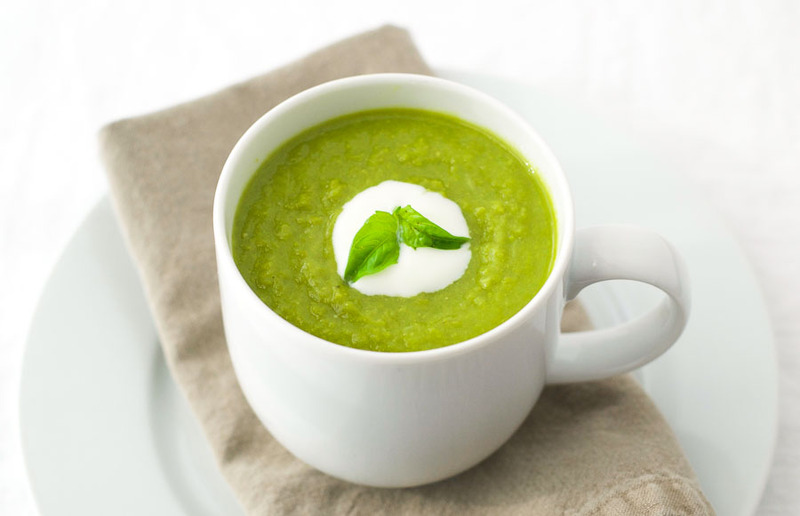 That is where this amazing 3 ingredient pea soup recipe came from. Anyone who cooks regularly knows how difficult it is to maintain the motivation and inspiration needed to come up with interesting dinners. That is why I love to share recipes with friends and family. Paula touted this recipe as one that would appeal to the whole family. Initially I wasn’t convinced (I have a couple of picky eaters on my hands), but it turns out she was right. Well, almost. My 2-year old was hard to convince, but my 5-year old and husband loved it. The recipe consists of frozen peas, onion, water. Boom. That’s it. C’est tout. Pea soup. Boy is it tasty. And did you know that peas are a very good source of plant-based protein? 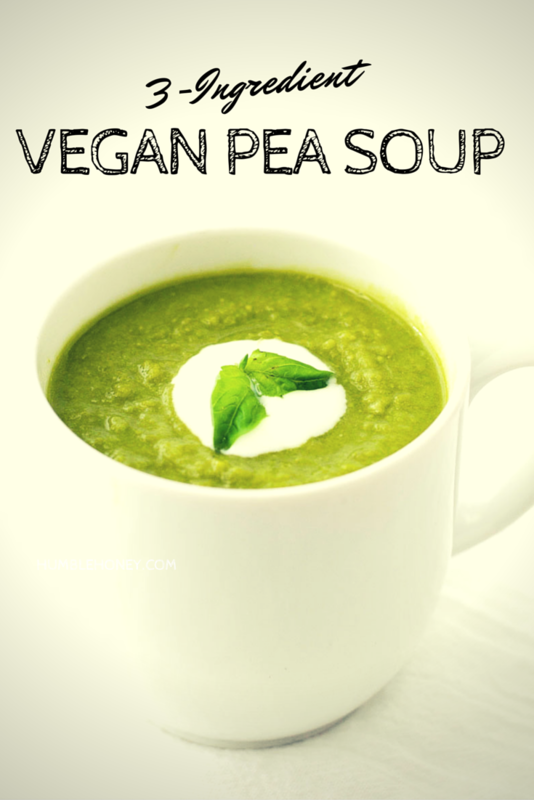 Just 1 cup of peas has a whopping 9 grams of protein. Who knew? 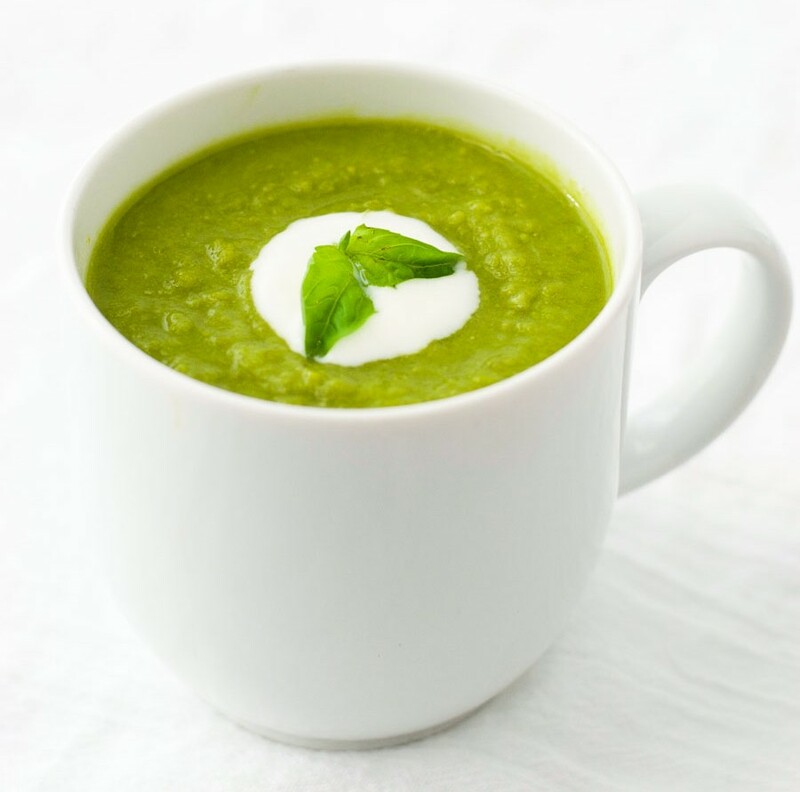 So without further ado, I present to you, Paula’s 3 ingredient pea soup. Heat the olive oil in a large pan over a medium heat. Add the onion, cover, and cook until translucent - about 5 minutes. Add the peas and pour in enough water to just cover them. Blend, season with salt and pepper (if necessary) and serve. Previous Post: « Is Your Diet Disrupting Your Sleep? 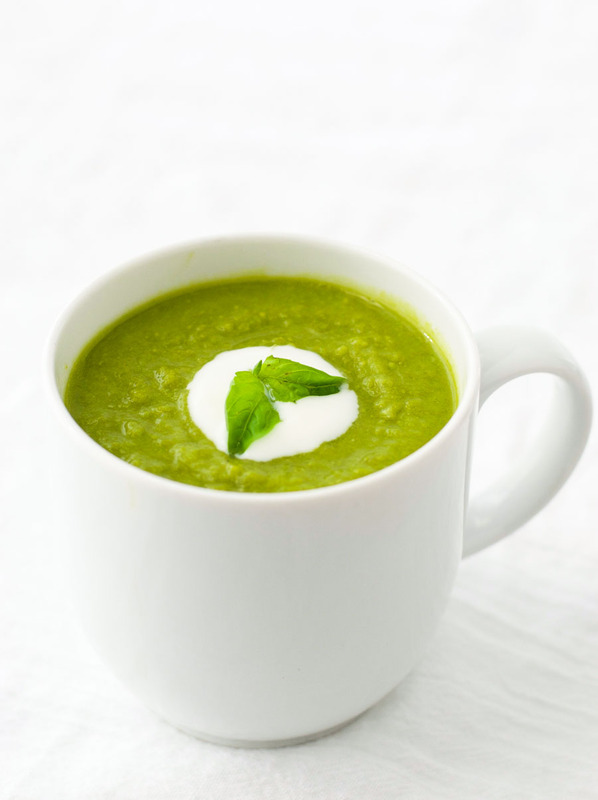 Yum – I love that the color is bright green rather than the traditional pea soup. I’m going to try this one soon. 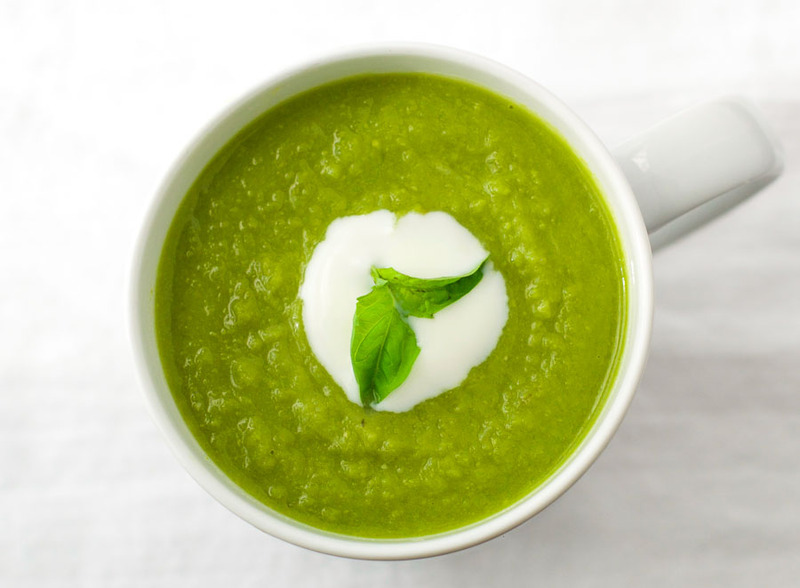 I like this soup: great-looking and full of healthy ingredient! This looks delicious! How many servings does the recipe yield? It makes about 3-4 servings depending on how much water you add.